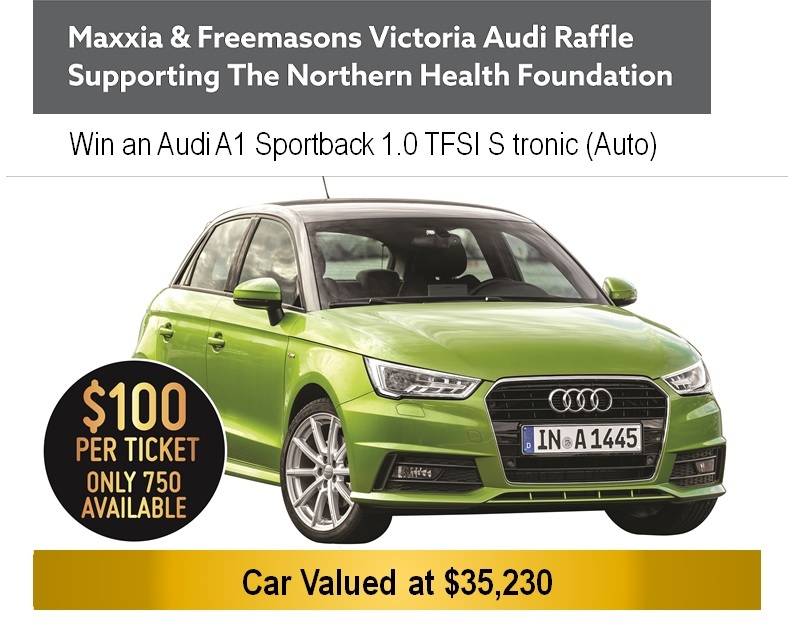 The Maxxia & Freemasons Victoria Audi Raffle has come to a close with the winner having been drawn on Saturday, 10 November 2018 at the Grand Master’s Gold and Black Charity Ball. The lucky ticket was number 323. Permit No: 10364/18. Ticket sales close Saturday, 10 November 2018. Prize to be drawn on Saturday,10 November 2018 at The Grandmaster’s Gold and Black Charity Ball, Melrose Receptions, 2 - 8 Carrick Drive, Tullamarine VIC. Proceeds to: Northern Health Research, Training and Equipment Trust. Winner will be notified by phone and email, and displayed on the Northern Health Foundation website. The vehicle displayed is for illustration purposes only and actual vehicle may differ in specifications and colour.